The point of having an airplane is to go somewhere. 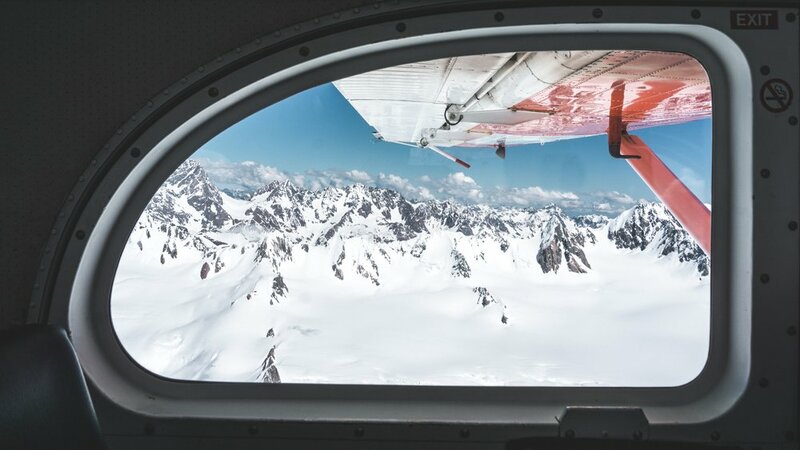 If you’re the pilot and your prosperous home is the airplane, it’s important to gain “altitude” in your finances so you can reach your destination and not spend all your time running around the airport. In this analogy, what you own minus what you owe equals your altitude. The items you own are called assets, and they carry you higher and higher above the ground. Debt, meanwhile, reduces altitude. It is possible (and unfortunately common) to have so much debt that the plane has sunk below the ground’s surface to become a submarine, where a person’s debt exceeds their assets. If you find yourself in a situation where your debts are mounting and your assets are not, don’t give in to despair. You just need to understand what is happening and handle it. Good pilots fly with their eyes open. Don’t be afraid to examine your financial numbers and take a good look at your situation. What is my net worth (altitude)? With these questions in mind, you can begin to manage your airplane and fly higher. If you don’t know where you are or what your plane is doing, there’s no way to aim at anything and, therefore, get to your destination. So the first step of discovery is opening your eyes and recognizing where you are. Next, building your altitude comes down to making a choice one dollar at a time. When you choose to add your dollar to your assets (savings), your altitude begins to grow. The same thing occurs if you choose to put that dollar toward paying off your debt. Your debt load is one dollar less. Which is better: to be a saver or a debt reducer? At the end of the day, the mechanics are the same and win you the same result. You can put your dollar into your assets and make them bigger, or you can put it toward your debts and make them smaller. Either way, your net worth will change for the better. You’ll probably go back and forth as you choose between accumulating assets or reducing debt; however, you won’t always be a debt reducer, because one day you will pay off that debt and all you will have is your assets. Working solely off your assets introduces you to several new and interesting situations: assets you invest in, what gives you a better return, opportunity costs. Many of these things become important when you have air underneath you. Obviously, it’s a great idea to pay down your debt. But at the same time, it’s important to realize that if you take all your assets and use them to pay off all your debt, you will have zero in assets, which doesn’t get you anywhere. This doesn’t help you gain altitude, and it leaves you vulnerable to the next unexpected event that has to be paid for (a trip to the ER, a fender bender, etc.). It is good to have an emergency fund: a financial “bumper” that can absorb unexpected expenses. This allows you to become the bank. Instead of reaching for your credit card to pay for an emergency expense, you can dip into your emergency fund and stay debt free, maintaining excellent altitude. One dollar at a time, you can change your financial situation. Update on the Carr Fire: At the time of this writing, the Carr Fire has burned more than 181,000 acres and destroyed more than 1000 residences in Shasta and Trinity Counties in Northern California. We greatly appreciate your prayers for our city and surrounding areas. If you wish to give financially, your donations will make a huge difference in the lives of those who have suffered great loss. To donate to victims of the Carr Fire, click here.